The Lynxmotion Tri-Track Robot Kit is a robust chassis for your RC or autonomous robot experimentation. The robot is designed for indoor or outdoor use and performs well on many different surfaces. Additional options such as the Base Rotate or Pan and Tilt can be added! The chassis is designed to accept the Bot Board and/or the SSC-32. There's room for the Sabertooth 2 x 5 RC motor controller and an assortment of battery packs with room to spare. The robot is capable of carrying up to a 5lb payload. 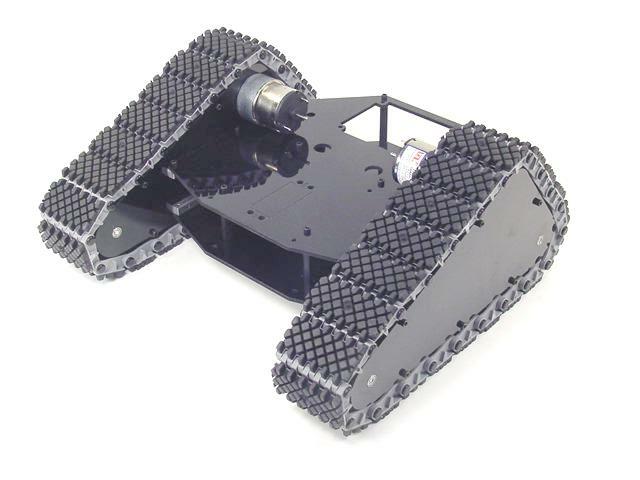 The robot chassis is made from ultra-tough laser-cut Lexan structural components, and custom aluminum brackets. 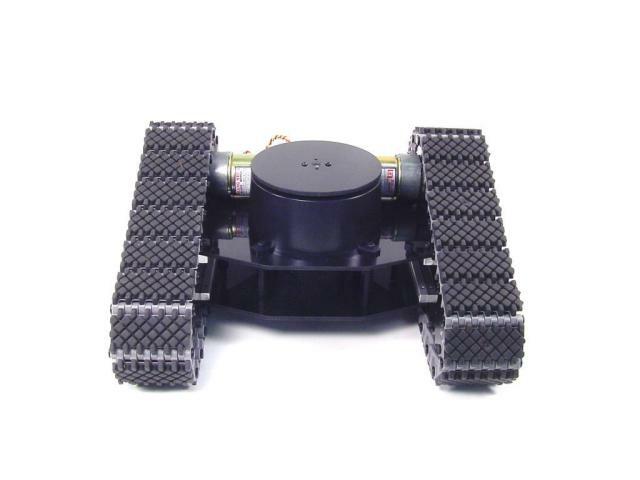 By utilizing heavy duty polypropylene and rubber tracks with durable ABS molded sprockets the robot has excellent traction. It includes two 12vdc 50:1 gear head motors. 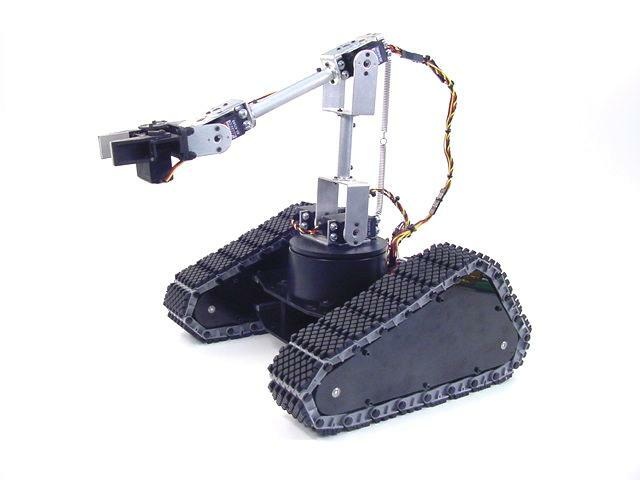 This version of the robot uses a 2.4GHz Spektrum radio controller for control of the vehicle and optional pan and tilt. Tri-Track with Pan and Tilt.